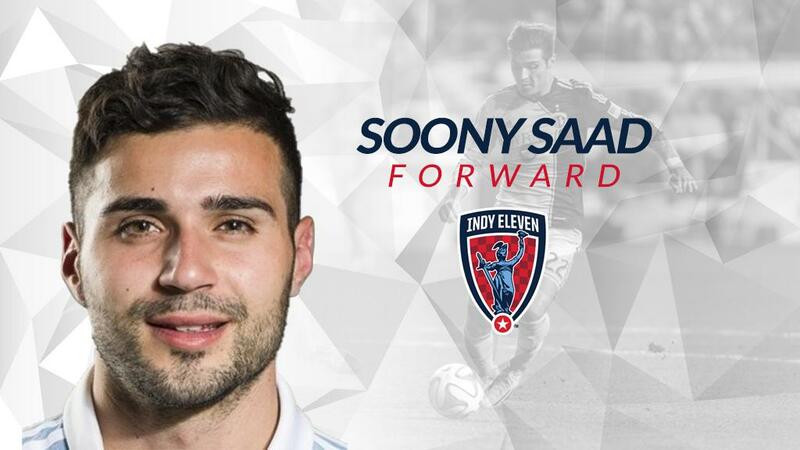 Indy Eleven Professional Soccer announces the signing of forward Soony Saad from Major League Soccer’s Sporting Kansas City to its 2018 roster pending league and federation approval. In 2011, Saad signed his first professional contract with MLS’ Sporting Kansas City after a successful collegiate career at University of Michigan. During his first four years with SKC, Saad scored eight goals in 58 appearances. Additionally, Saad collected a MLS Cup in 2013, as well as Lamar Hunt U.S. Open Cup honors in 2012. In 2016, Saad signed for Thai League 1 side Police Tero FC, where he scored nine goals in 28 appearances. Saad made his return to SKC last season, making a total of 12 appearances and tallying a single assist.